Businesses no longer compete on product quality alone, but on client experience. In fact, it may be your most competitive advantage. 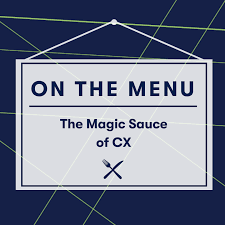 What if you could serve up a magic sauce that delighted customers and kept them coming back for more? Join us, along with teacher Jim Reklis of Reklis Coaching and Conulting, on March 7 to hear a true story of outstanding client experience and discover the Four Core Values of Client Service and the Secret Ingredients to Great Client Experience. Lunch with be provided by Frontier RTP, and in the spirit of CX, be sure to let us know what ya think!